I’ve said it before, and you can probably really tell from my Instagram lately, but one of my goals since our move has been to become a better cook. I think (and I’m going to say that I think my husband agrees) that I’ve done a pretty good job so far, and even I’m impressed by the dishes I’ve made! Now, I’m not one to invent recipes or anything like that, but when I find a good one, I may modify it (usually adding more spice) and then make it over and over. But we also love trying new recipes, which has led us to try Blue Apron, Plated and so many Pinterest recipes! One of the things I do that I’m sure has made me a better cook is that I plan a menu every Sunday and then make a grocery list to go with it. To start, we sit down and look at our calendar for the week and see if anyone has evening activities, which typically means sandwich or soup nights. Then I just sort of look through Pinterest and my cookbooks to pull some ideas until I’ve got 5-6 dinners. No matter what, I typically plan on one night of leftovers for a “don’t feel like cooking” night. I do try to mix things up so we’ll have a fish meal, chicken meal and sometimes a steak and/or vegetarian night. Jackson typically eats what we eat, or at least that’s what we try first. I do keep the usual toddler staples on hand (mac & cheese, things for grilled cheese, broccoli, etc.) just in case he completely protests, or if I’m making something spicy that I can’t modify part of for him. If your now not so new, New Year’s resolution was to cook more and get healthy, then you might already be familiar with Le Creuset! Not to fret if you are not familiar with cooking with Le Creuset, as we are confident you will be pleasantly surprised at how easy to use this tried and true line of bakeware and cookware is! Even better, you will enjoy displaying the gorgeous pieces almost as much as cooking and baking with them! Bering’s has been a retailer of Le Creuset for almost 20 years and it is as in demand now as it was when we first launched the line at our stores. While we, along with our customers, are fans of the vivid colors the line offers in their enameled cast iron line, Le Creuset is full of even more wonderful options – such as stainless cookware. Since all of the pieces Le Creuset manufactures come with a lifetime warranty, customers never come in to replace a piece but do come in quiet often to add to their line! Their line of cookware and bakeware is second to none and we excited to share a little bit about their stainless as well as their enameled cast iron lines. Their dishwasher safe stainless cookware is a top pick among cookers from novice to professionals, and for good reason! Le Creuset’s stainless steel is made of the latest nonstick technology. We especially love the size and functionality of the 10” nonstick fry pan. It is perfect for everyday cooking! And an important feature to note is that the ergonomic handle minimizes heat transfer and fits comfortably in hand. Everyone needs at least two turn-to frying pans and trust us when we say this is one’s for you! 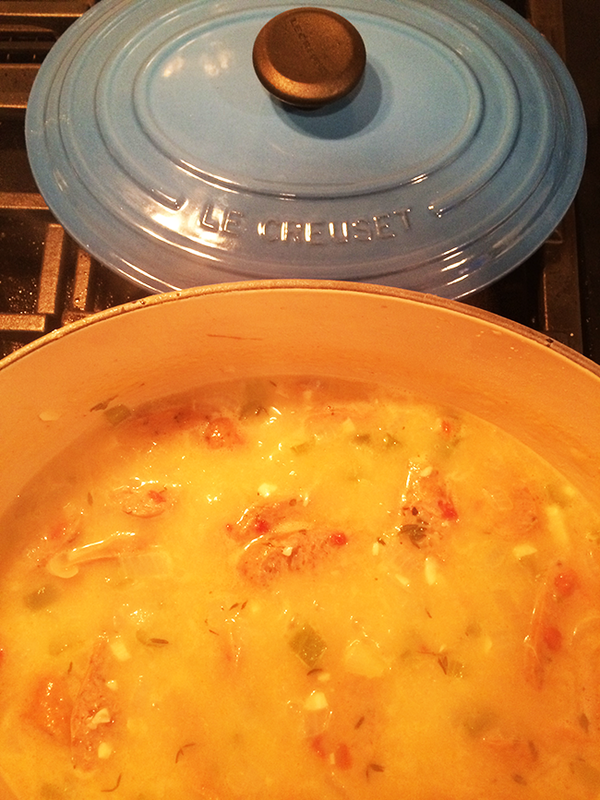 You’ll also love cooking with Le Creuset’s enameled cast iron. The pieces are remarkable and perform nicely with modern requirements for food preparation and cooking. Whether you choose to stir-fry, slow-cook a casserole, sear a steak or bake a cake, there is a sure to be a suitable shape. Cast iron performs well for either slow cooking or high-temperature searing. Their cast iron can also be used reliably on any heat source, including induction, as well as with any oven or grill. The pieces also have ability to retain heat efficiently, which allows for use of lower heat settings for stovetop and oven cooking. On the table, a hot covered dish will keep food hot for second servings! …Try it and see! And you might be surprised to know that cast iron can also be used to keep foods cold. A chilled dish becomes an ideal cold food server on a hot summer day. It can also be placed in the freezer for food storage or advanced food preparation. Your meal planning is sure to be that much more efficient using Le Creuset’s cookware and bakeware! We want you to get to meal planning and cooking with Le Creuset so we are partnering to give away two pieces of Le Creuset cookware. Enter on the Rafflecopter widget below before 11:59PM on Friday and we’ll pick two winners who will be notified on Saturday morning. Good luck! 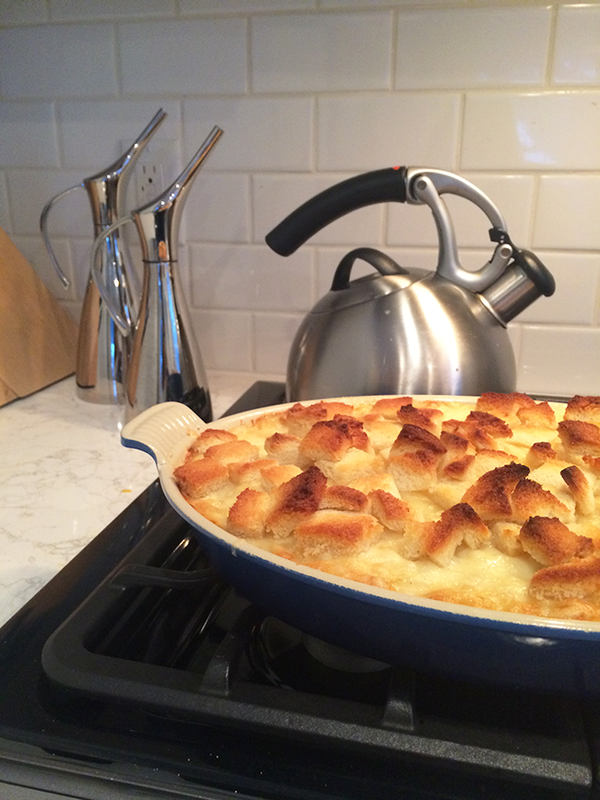 Can you share the recipe for the dish in the first picture on today’s blog? Looks perfect for a cold, Michigan winter day! We’ve been loving soups, stews, and oven baked meals this winter. Our favorite meal to make at home is seasoned beef soft tacos with all the fixings and homemade pico de gallo. My fav weeknight recipe is Ina Garten’s Lemon Chicken. It is simple, quick and tasty! I Love making a whole chicken! I can use the leftovers for chicken salad lunch the next day! I love cooking on Mondays. It just starts the week off right!! oops, which Mondays are normally fajitas or enchiladas! We love a roasted pork tenderloin accompanied by roasted brussels sprouts and a salad. Beef Stroganoff or Chicken Tetrazzini! I love making stir fry and noodles. It’s such a great way to use what vegetables are around the house and might be on their last day. Planning meals for the week on Sunday night is always what I aspire to do but never actually put into practice. Having a day for leftovers (or just not cooking) is terribly smart; the idea of cooking a meal every can seem daunting. I love making soup! On a cold night, nothing is better than a tasty chicken noodle! I like to make chicken stir fry. Ina Garten’s Spicy Turkey Meatballs & Spaghetti! Love those oil dispensers, Nina…where are they from? My favorite weekend meal is chili. I love making Barbeque Meatloaf… It’s delicious and nobody ever complains!! I love to make salmon and veggies on weekdays – super easy and quick! I’m a huge fan of the beef stew. I have this great recipe which is like hundreds of tiny swiss steaks. So tender and delicious! Fried chicken is a favorite at our house. Spaghetti & Turkey meatballs..good leftovers! I love making taco soup! I love making casseroles. We do all sorts of different flavors (like a thai peanut casserole this week)! My favorite weekday meal to make at home is spaghetti and meatballs, everyone loves it and always agrees on it. Burritos are always fun and sooo easy! We love sloppy joes and salads on weeknights. Super easy and good. A veggie, meat, pasta stew that can last all week if needed. We love to make pozole and beef stroganoff. They’re tasty, quick and make delicious lunch leftovers. I love to make a big hearty pot of soup.